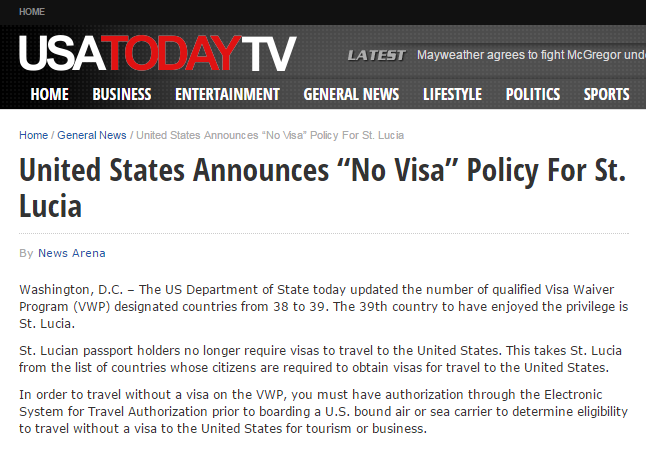 St. Lucians still need a visa to travel to the United States of America. This message was posted to the U.S. Embassy to Barbados, the Eastern Caribbean, and the OECS Facebook page yesterday following a satire article. The article stated that St. Lucia had been added to the Waiver List. They also included the following link to allow persons to see the complete list of countries whose citizens are currently eligible to travel to the United States under the Visa Waiver Program.